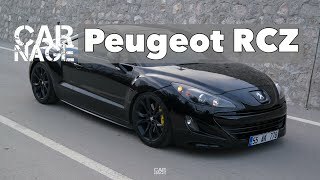 The French manufacturer has released a new Peugeot RCZ teaser video anticipating its premiere at the Frankfurt Motor Show next month. Peugeot RCZ is expected to hit the streets sometime next spring. The car is a 2+2 compact coupe and features some unique detailing like the shape of pillarless doors or the double bubble roof. But still you can notice it�s a Peugeot as it maintains Pug�s Feline character. Currently there are two engines planned, the 1.6-litre turbo petrol and the 2.0-litre HDi diesel (Euro V). As for transmissions, Peugeot plans to have a six-speed manual and auto available at launch. 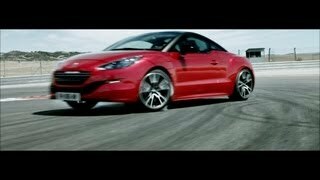 Watch the Peugeot RCZ teaser video after the jump. 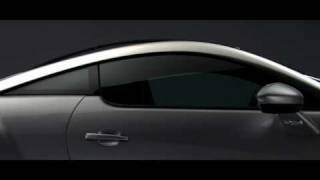 In September 2007, at the Frankfurt Motor Show, Peugeot unveiled a concept car which was the talk of the show: the 308 RCZ. The exceptional levels of interest expressed at the show convinced Peugeot that they had to turn this concept car into a commercial reality. However, in doing so, the transformation from dream to reality would require real determination, daring and a lot of inventiveness. Peugeot's stylists and engineers worked together to ensure that the final production vehicle was fully in keeping with the expectations created by the exterior styling of the concept car. The first wish had always been to keep the purity of the original concept's styling, but also to ensure that the car would drive as well as it looks. In fact, some very ambitious targets were set in terms of driving dynamics and build quality, in order to give the car its own extremely strong identity. The objective behind this compact 2+2 Coup� is for it to become an exclusive vehicle, full of emotion, aimed at enthusiasts who are particularly discerning with regards to driving enjoyment. The choice of the name, RCZ, symbolises this special and unique position within the Peugeot range, as it is the first car which does not use the usual zero or double zero numbering system. The RCZ, therefore, becomes an illustration of all of Peugeot's key values; values which move with the times but are still pure and always in keeping with today. The final challenge faced by the project team was to complete the development of this new vehicle in a particularly short period of time. This was achieved as, just two years after the concept car was first shown, the RCZ will be revealed for the first time to the public in its final form at the 63rd Frankfurt Motor Show in September. The RCZ will go on sale in Spring 2010.